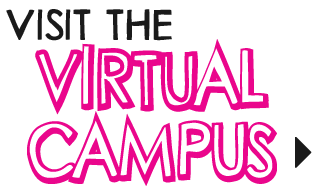 What is the Virtual Campus? We’ve created Forté Virtual Campus just for college women. While we hope you'll explore Forté's full site (and especially in Business360º), we know it's nice to have place created with you in mind—a place with information geared especially towards your needs and interests, with a little fun thrown in! So, what will you find at Forté Virtual Campus? Videos, podcasts and webinars from Forté’s on-campus events. A fun, interactive journey where you’ll follow the career paths of successful businesswomen from college undergrads to influential industry leaders. Would you make the same choices they did? We’ll guide you through creating your first resume, and show you how to ace the interview! What’s it really like to work in a particular industry? Get the inside scoop in videos from top businesswomen. Information on careers, companies, news and advice, all with a college woman’s perspective in mind! Check out the posts and share your ideas!